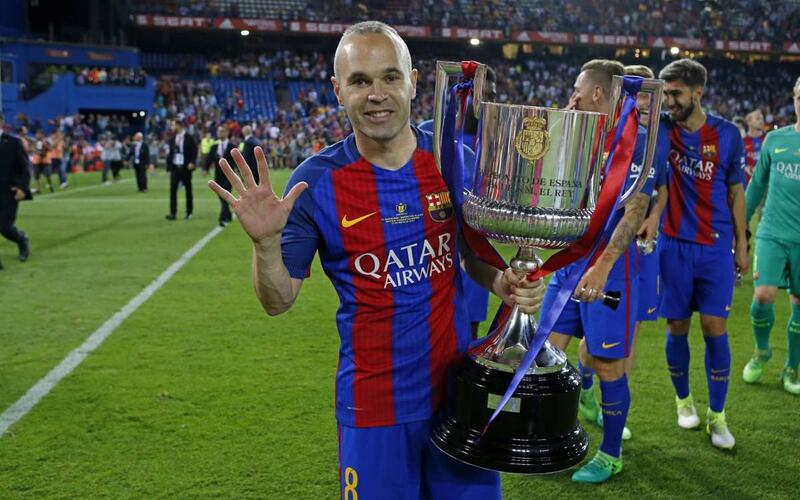 FC Barcelona captain Andrés Iniesta spoke of his pride at winning the Copa del Rey for the third season in a row. The midfield maestro was pleased with the win and highlighted the difficulty of playing a game of such a nature. “A final is a final and it is always difficult. Even though we were favourites, these games are always tough. We are happy because we reached the aim of ending the season with the Copa,” said Iniesta. On the season as a whole, the skipper said: “We are required to play well, but also to get results. We didn’t do great in the other competitions and we were punished”. Nevertheless, he did speak of the value of the cup: “It is our third Copa del Rey in a row, and that must be valued”. And finally, on the outgoing manager Luis Enrique, Iniesta said: “He arrived at a delicate time and his record has been more than positive”.